What does it mean to be a student at a liberal arts college? It’s the smaller class sizes, the relationships students can create with their professors and other students, and the meaningful involvement on campus. 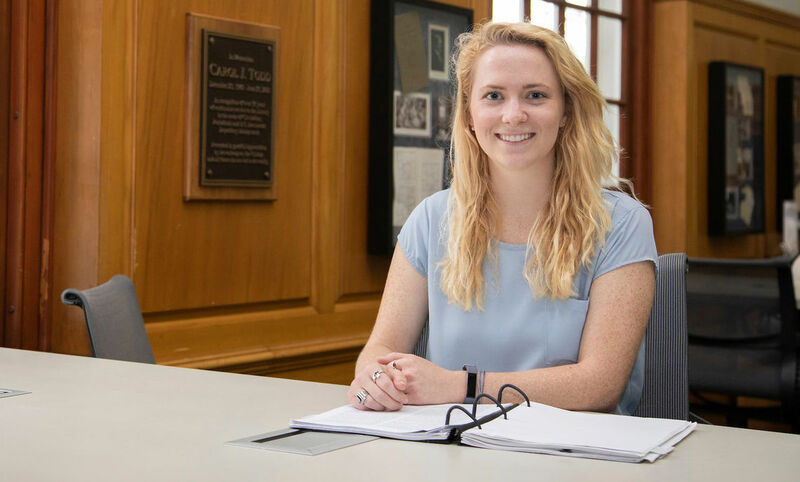 Senior psychology major Jacquie Koob says it’s also developing the ability to learn through many different lenses, rather than following a straight—and rigid—path all the way to graduation. Koob, who is the senior class president, is also an admission tour guide, a member of the Kappa Delta sorority, and served as a member of the Bonchek House congress. She sits on the Trustee Committee on Student Life. These diverse activities are all critical parts of the mosaic that is her liberal arts education, but the purely academic experience has been exciting, too. “My junior year, I signed up for a personality psychology research collaboration with Assistant Professor of Psychology Allison Troy,” Koob recalls. “I never saw myself as someone who would be successful with research, but I soon became extremely excited to see the work that my group would be doing that semester. This past summer, Koob volunteered as the first student intern for the executive team at Lancaster Behavioral Health Hospital, focusing on business development and human resources. She started before the hospital opened and helped with new employee hiring and orientation, community events, and more. She’s stayed with LBHH and is working as an intern for credit in the fall semester.